Understanding Video Game Music develops a musicology of video game music by providing methods and concepts for understanding music in this medium. From the practicalities of investigating the video game as a musical source to the critical perspectives on game music - using examples including Final Fantasy VII, Monkey Island 2, SSX Tricky and Silent Hill - these explorations not only illuminate aspects of game music, but also provide conceptual ideas valuable for future analysis. Music is not a redundant echo of other textual levels of the game, but central to the experience of interacting with video games. As the author likes to describe it, this book is about music for racing a rally car, music for evading zombies, music for dancing, music for solving puzzles, music for saving the Earth from aliens, music for managing a city, music for being a hero; in short, it is about music for playing. Foreword James Hannigan; Introduction; Part I. Analysing Video Game Music: 1. The video game as a source; 2. Methods of analysis; Part II. Critical Perspectives: 3. Texturing and the aesthetics of immersion; 4. Music and virtual game worlds; 5. Communication for play; 6. Hollywood film music and game music; 7. Musical play and video games; Epilogue; Appendix: how to hear a video game; Bibliography. 'This outstanding book does much to establish an 'extended techniques' musicology, allying close analysis of music with crucial knowledge of gaming construction and procedures. Tim Summers' years of 'deep research' into the subject make this a book of extreme sophistication and erudition that will define the field for years to come.' K. J. Donnelly, University of Southampton 'Tim Summers' Understanding Video Game Music is among the most innovative musicological studies published in recent years. 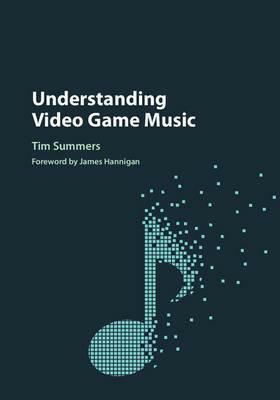 Combining musicology, game studies, and media theory, Summers provides an authoritative analytical framework for video game music. This book is timely, playful, and lucid. It will without doubt become a standard work in the field.' Isabella van Elferen, Kingston University '... it is an essential read for those who are vested in bringing ludomusicology into academia, and incredibly interesting for those who are simply interested in philosophical dialogues, personal anecdotes, or historical background regarding music and games.' Emily McMillan, VGMO (www.vgmonline.net) "This outstanding book does much to establish an 'extended techniques' musicology, allying close analysis of music with crucial knowledge of gaming construction and procedures. Tim Summers' years of 'deep research' into the subject make this a book of extreme sophistication and erudition that will define the field for years to come." K. J. Donnelly, University of Southampton "Tim Summers' Understanding Video Game Music is among the most innovative musicological studies published in recent years. Combining musicology, game studies, and media theory, Summers provides an authoritative analytical framework for video game music. This book is timely, playful, and lucid. It will without doubt become a standard work in the field." Tim Summers is Teaching Fellow in Music at Royal Holloway, University of London and has previously taught music at the University of Oxford and the University of Bristol. As Centenary Research Scholar at Bristol, he wrote one of the first Ph.D.s on video game music. He is a co-founder of the UK Ludomusicology Research Group on video game music, and has written articles for journals including the Journal of the Royal Musical Association, the Journal of Film Music and Music, Sound and the Moving Image. He has edited both a collection of essays on video game music, Ludomusicology: Approaches to Video Game Music, and a special issue of The Soundtrack on game audio.